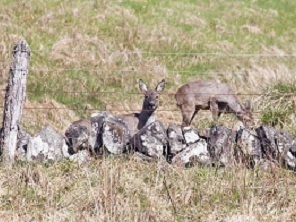 The estate offers both red and roe deer stalking predominantly on the hill ground with a number of roe bucks shot on the low ground from May onward. All stalking parties are accompanied by our resident Stalker and are charged at £120 per person per day with an additional £80 per buck/stag shot. 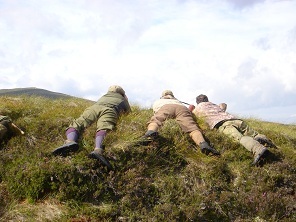 Firearms certificate holders are welcome to use their own rifle on the estate or the estate rifle if they prefer. With an emphasis on safety, it is the Estate's policy that all clients complete a quick competency test on our steel target at the beginning of the day. Click here to contact us regarding stalking availability.